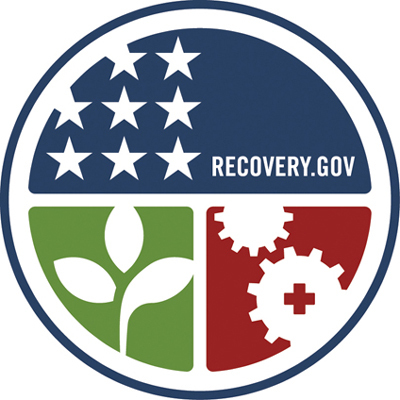 In an effort to create jobs, improve the environment and stimulate the economy, the federal government in December awarded California ReLeaf $6 million in American Recovery and Reinvestment Act funds. The ARRA funding will allow California ReLeaf to distribute grants to 17 urban forestry projects throughout the state, planting more than 23,000 trees, creating or retaining close to 200 jobs, and providing job training for scores of young people over the next two years. ARRA funding has been responsible for a variety of green jobs including jobs in solar panel installation, alternative transportation, fire suppression, and more. The California ReLeaf grant is exceptional in that it provides jobs by planting and maintaining urban trees. Job creation and retention, particularly in economically distressed areas, is the main focus of the projects. California ReLeaf’s $6 million is just a small portion of the $1.15 billion the Forest Service was authorized to distribute, but advocates are hopeful that it signifies a shift in how people view urban forestry. 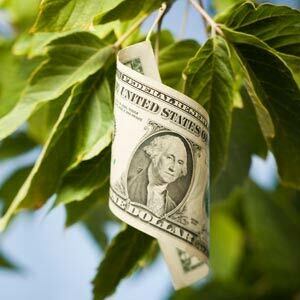 “I’m hoping this grant and others like it will raise the visibility of urban forestry,” said Martha Ozonoff, executive director of California ReLeaf. While the grant is part of a huge federal effort, Californians will feel the immediate benefits of jobs and a healthy tree canopy in their own neighborhoods, she added. “Trees aren’t planted on a federal level, they’re planted on a local level and our grant is helping transform communities in a very real way,” Ozonoff said. neighborhoods. The project focuses on South and Central Los Angeles, where many of the Corps’ members call home. “We’re targeting areas that have the lowest canopy and also have the highest unemployment rates, poverty levels and high school dropouts ¬¬¬– not surprisingly, they coincide,” said Dan Knapp, deputy director of the L.A. Conservation Corps. The L.A. Conservation Corps has for years been providing job training to at-risk teens and young adults, equipping them with a variety of hands-on career skills. About 300 men and women enter the Corps each year, receiving not only job training, but also life skills, education, and job placement assistance. According to Knapp, the Corps currently has a waiting list of about 1,100 young adults. This new grant, he said, will allow the organization to bring in about 20 people between the ages of 18 and 24 to receive urban forestry training. They will be cutting concrete and building tree wells, planting 1,000 trees, providing maintenance and water to the young trees, and removing stakes from established trees. The L.A. Conservation Corps project is among the larger of the California ReLeaf grants. But even smaller grants, like the one awarded to Tree Fresno, are having a big impact on communities hard hit by the recession. “Our city literally has no budget for trees. We have some of the worst air quality in the nation and here we are in desperate need of trees to clean the air,” said Karen Maroot, executive director for Tree Fresno. Tree Fresno’s efforts to remedy some of these problems has been boosted with a $130,000 ARRA grant to plant 300 trees and provide tree care education to residents of Tarpey Village, an unincorporated area of Fresno County Island. The grant will help the organization retain three positions and relies heavily on engaging community volunteers. Outreach materials will be provided in English, Spanish and Hmong, the languages represented in the Tarpey Village area. Maroot said the grant will go far in providing much-needed healthy trees to replace the elderly and decaying Modesto Ash trees in the area. But it is the community-building aspect of the project – residents taking an active role in improving their neighborhood – that is most exciting, she said.